For this next post, we're going to talk about the cool new upgrades for Rezzers. Before I do, though, I want to take another opportunity to encourage people to sign up as my patron on Patreon. I've really enjoyed all the positive response these articles are getting, but it isn't an insignificant amount of work to get them done. It would be amazing to get a little something back for the effort. I'm not talking a lot of cash, here. I would love for you to start at $1 a month just to let me know you enjoy the work as well. Ready for some weird science? Get ready for Dr. M, because stuff just got weird. To start with the more normal one, let’s go with Guild Coroner. It gives him an ability to, after killing a model with a melee attack, drop a scheme marker in base contact with a different enemy model within 12” and LoS (effectively, him pointing at them and saying “He did it!” McMourning is then allowed to use one of the 0 actions printed on the stat card. One lets him discard every corpse marker within 3” of him, adding a soulstone to his pool for every two corpses ditched in this way (I would think this would be 1 most of the time.) The other, corpse retrieval duty, lets you ditch a single corpse to draw two cards and then discard one. I like that they don’t cost you anything you wouldn’t be doing anyways (killing stuff.) Not sure how much the soulstone thing will pay off for you, but could be useful. On the other hand FRIGGIN TEST SUBJECTS! 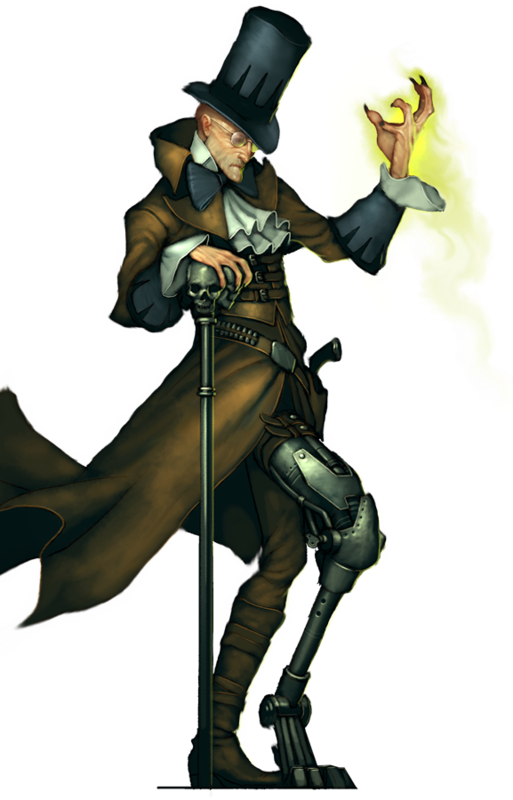 *ahem* *composes himself* This upgrade allows Dr. McMourning to hire 4 non-Gamin beasts or academics from other factions into his crew. That is bonkers. Welcome to Marcus 2.0, but with Academics and potentially the Guild as well. There are too many options to go through all the stuff that could end up being useful here. Guild McMourning gets the most use out of it, as this lets him hire Rogue Necromancies and the University Transmortis stuff out of faction. I like that it lets him hire Myranda in, since they’re family and all. I’m just jacked to see all the things you can try with him now. Do You Know Who I Am? Enhances the fear based Seamus crew by punishing models for passing their Horror duel. 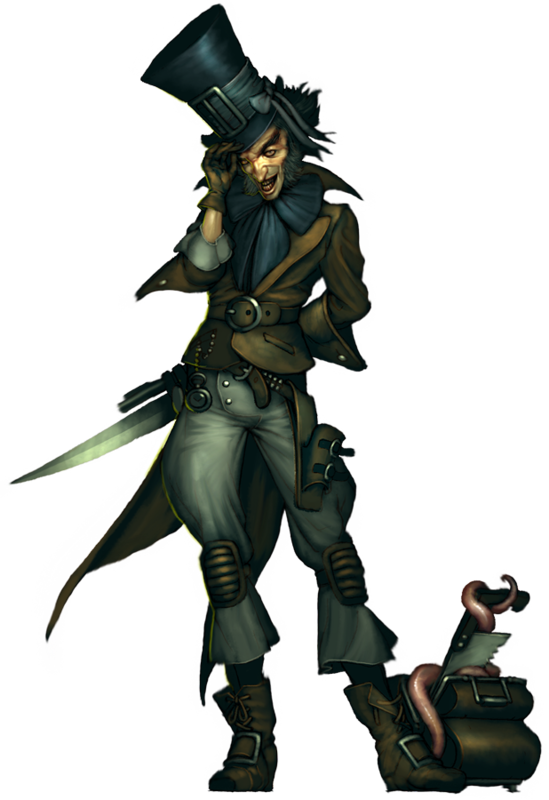 Once per turn, an enemy that passes a horror duel within 6” of him can be forced to take a 2/3/4 damage flip. 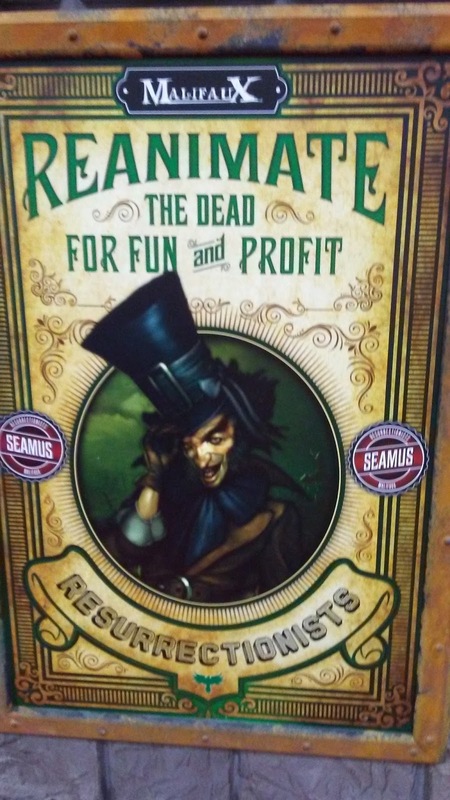 If the flip does severe damage, you can place a condition called Infamy on Seamus to increase the TN of his Horror duels by one, to a max of +3. If you’ve built yourself to be attacking Horror, I would have to think it’s worth the card to cheat in and move up the TN. On top of that, he gained a new 0 action, Boo! It forces all enemy models within 3” of him to pass a TN 12 horror duel. Making the opponent flip more cards when nothing good can come of it for them and plenty of bad can happen instead is a good thing. Plus, it has a built in trigger called You Can Run that lets you push anybody who passes the duel a number of inches away from Seamus equal to 2+ his Infamy condition. I think this upgrade is pretty strong. Maybe likely to gather more buzz is AKA Sebastian Baker, which allows Seamus to hire Showgirls at the beginning of the game (what’s the deal with the Rezzers expanding their hiring pools this book? Can Nicodem hire Oni now too?) Additionally, when he uses his Arise My Sweet, he can sub in a Showgirl minion instead of a Belle. The Showgirls lose the Living characteristic and become undead whether they’re hired or summoned. The hiring is interesting as it grants him access to showgirls like Carlos and Cassandra (though you’d think Collette would have noticed the smell if Seamus had murderd and reanimated them.) 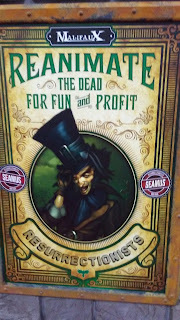 Hiring a performer without the merc tax for games like Headhunter is ok. My thing is, Seamus only gets to summon once a turn, and if he gets the opportunity I would think he would want to summon a Belle. More flexibility is a good thing, I suppose, and he could potentially get an Ice Dancer, which would be ok. Oh, and he gets to use a 0 action to place a scheme marker in base contact with a piece of terrain somewhere within 12”. It’s not a BAD upgrade by any stretch of the imagination. I just feel like “Do You Know Who I Am?” takes an already pretty good Seamus build and makes it objectively better. 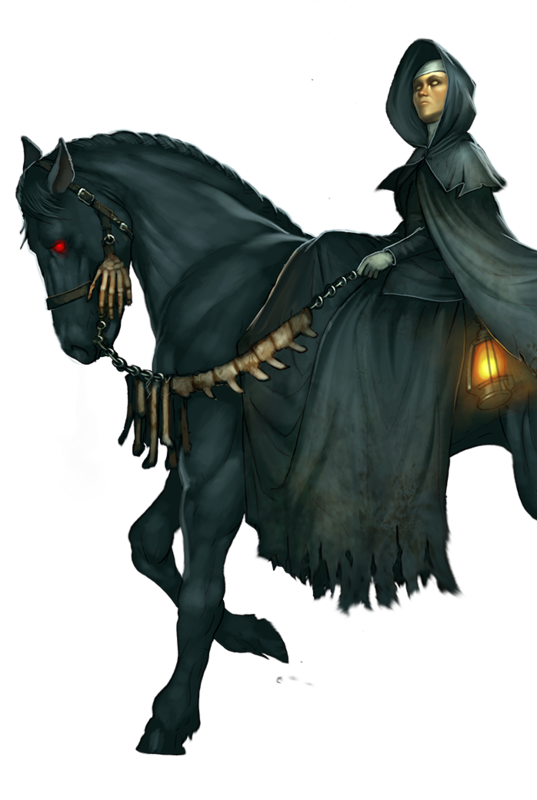 So, one of his upgrades is Their Last Breath, which basically lets him take a living friendly Rezzer model who dies anywhere within his LoS and buy you a few more turns with it. It isn’t killed and heals all wounds, but gains a Decaying condition. This makes them Undead, limits them to healing no more than the Decaying condition every turn (it starts at +2) and deals 2 damage to them when they activate that can’t be prevented, ignored, or reduced. Every turn the Decaying condition increases. I’m trying to think of who would be a prime candidate for this and nothing’s IMMEDIATELY jumping out at me. Mortimer? I guess that could be useful, since Morty is trading his wounds for corpse counters all game. (Also, why are there no Nic and Morty memes out there anywhere?) Vincent St. Claire? 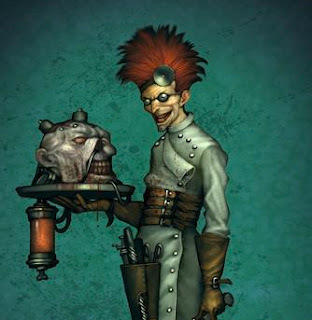 The new Assura Rotten henchman? I’m really not sure what the best application for this would be. I’m sure someone will point it out in the comments. Also, it’s worth noting that this works like Titannia’s Queen’s Champion where it goes off when the condition is met, rather than when you choose, except this one doesn’t have the ability to pay a cost and keep it from activating at all. So, whatever you’re going to do with it, it’s probably best if you only have one target in your crew that can gain it (so, no Vultures I guess.) This would, however, be pretty sick in a doubles event. Oh, you killed Seamus? Guess what, he’s still alive. Speaking of Vultures, his other upgrade is Circling Buzzards. This one lets you discard however many cards you want at the beginning of the game to place one corpse for each two cards on the centerline, so long as they’re at least 8” away from any other corpses. Getting more corpse markers on the board is undeniably good for Nicodem, but I wonder if the cost is too high. They do have a lot of card draw in Phillip and the Nanny abuse, but if you drew a pretty strong opening hand it might be kinda painful to ditch four cards for 2 corpses. Also, Nico gains the ability to summon Vultures into base contact with a Corpse Marker at Range 8. There’s a Ram trigger to drop a scheme marker behind when you perform the summoning as well. Again, debatable if this is better than what Nicodem already uses, but ranged Scheme Marker placement without an interact isn’t terrible. Both of Kirai’s upgrades give her passive abilities, which I like for summoning masters. Their AP is usually pretty much spoken for every turn. The first, Ectoplasm, grants her the ability to place a scheme marker in base to base with any non-peon Spirit that she kills or sacrifices during her activation. This will typically be Ikiryo I would think, who you sacrifice to then resummon somewhere else on the board, allowing you to potentially generate an extra scheme marker per turn. Still, there could be some utility here. 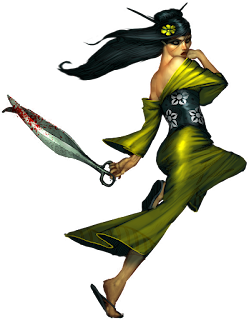 Second, Spiteful Wrath makes her Seishin count as Undead and allows them to be affected by the Malevolence Aura from her and the Lost Love. This could potentially make them very annoying for opponents to deal with. 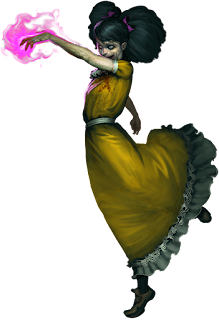 Vengeance Will Be Mine gives her an aura that prevents removal of the Adversary condition from models within 6” of her. As someone who has played Beckoners before, this isn’t that big of an aura, and it will be difficult to plan on using this offensively in a game. On the other hand, enemies are likely to want to get up close to her to stop her summoning, so this could be a useful defensive ability. It just remains to be seen if that’s enough to warrant an upgrade slot and a soulstone. I’ve secretly suspected that one of the unspoken design goals of this book and the upgrades in it are to give really strong options to masters that needed a boost while, instead, granting side-grades to ones that are already pretty good. One of Molly’s upgrades kind of flies in the face of this, though, as I consider her to be a Tier 1.5 master at worst, and her Back on the Job upgrade is one of the strongest tactical options in the game IMO. Embodying her new-old job in Malifaux as a reporter, Molly’s Thorough Investigation allows her to LOOK AT HER OPPONENT’S UNREVEALED SCHEMES AFTER CREWS ARE DEPLOYED. Now, go ahead and think about that one for a second. You don’t get to know the names or variables on the schemes, so you don’t have to say who the sucker is on Frame for Murder, but just knowing that this is what they’re doing is in-freaking-sanely strong, and lets you immediately move to block what your opponent is doing with the assurance that your guess is most likely correct. Wowzers. The Tactical Action to discard an enemy Scheme Marker and draw a card once a turn, which is pretty good in and of itself, is just icing on the cake. Possibly overshadowed is Forgotten Items. Lost and Found allows Molly’s summons to prevent damage based on enemy Scheme Markers within pulse 3 when they’re summoned rather than enemy models (you get to choose which.) The flexibility is probably pretty good. And Things I Almost Remember allows her to draw 2 cards when she reveals a scheme. Card draw in a summoning crew? Pretty solid. I think Molly did pretty well with these upgrades. As with all the other Book 4 masters, Reva gets 2 upgrades and a conflux for the Carrion Emmisary. Riders in the Sky allows her to force an enemy model to take a TN12 Horror Duel when she charges them. It also gives her a (0) action to place a Blast Marker touching every Corpse Marker in play, regardless of LoS. Every model touched by one or more blast markers must succeed at a TN 12 Wk duel or gain Burning +2. Additionally, there is a tome trigger that makes every model which gains Burning pass a TN 10 Horror duel (is it me, or if a dead body just exploded and set me on fire, wouldn’t the TN be higher than 10?) I don’t know that most players would be going near corpse markers in games against Reva if they could help it anyways, but often you don’t have a choice. Specter of Death gives Reva something else to use as the source of her attacks: spirits. If you use them as the origin of the attacks they do one point less of damage, down to a minimum of zero. Additionally, it gives her a crow trigger on her Ethereal Reaping to summon a Seishin when she kills something. I can see the benefits of adding more things for her to attack out of, particularly when they can move towards the enemy. I think using spirits is clever, as they don’t drop corpses when the enemy kills them to prevent a positive feedback from the effects. It really just depends on whether this was necessary, ie if Reva was having trouble getting targets in range before now. I don’t think that was the case, but more tactical flexibility is never a BAD thing. Her Conflux upgrade gives the Carrion Emissary the ability to count as a corpse marker. A 50mm mobile corpse marker could provide her with quite a bit of increased threat projection. Adding to this, the Emissary can discard a card as a 0 action to place themselves in base to base with a corpse marker. If the card is a crow, you can push the marker 3” in any direction after placing yourself, also potentially improving their placement. It does deal 2 damage to the Emissary when you use it, so you might not want to do it every turn, but I think it could be pretty useful for Reva. Given his Shards’ ability to summon Mindless Zombies which also function as mobile corpse markers, I think you’ll see the Carrion Emissary in many Reva crews (assuming you don't already). Tara’s upgrades are discussed in the Outcasts article, and Yan Lo’s are in TenThunders. Next time we’ll be talking about the Gremlins.